Airtel has alleged that TRAI is "perpetuating illegality" by "tacitly" allowing Jio's "anti-competitive" promotional offers. Bharti Airtel has filed a new petition in its follow-up of the legal battle against the Telecom Regulatory Authority of India (TRAI). In the complaint filed by Airtel to the Telecom Disputes Settlement Appellate Tribunal (TDSAT), the private telecom operator has alleged that TRAI is “tacitly” allowing Jio to promote anti-competitive offers of free data and calling. 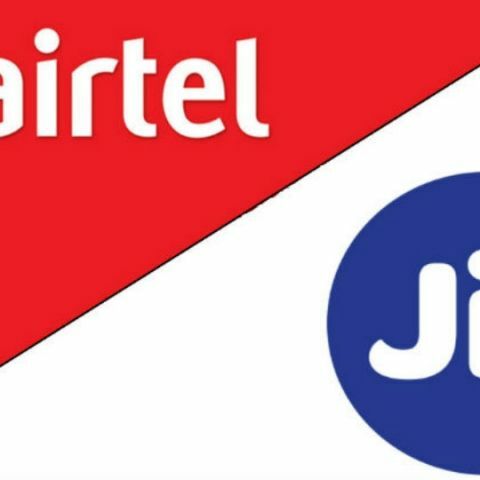 Airtel further alleges that by allowing Jio’s initial Promotional Offer, and then the Happy New Year offer, TRAI is “perpetuating illegality” by unfair practices surrounding telecom interconnect services. Airtel’s initial petition filed to TDSAT requested a directive on TRAI to ask Jio to stop its free services, which the operator deems “predatory”, as Jio’s services are being offered at rates below the set interconnect charge of 14 paise per minute. Airtel’s allegations further stated that these offers were being looked upon as a method of poaching customers by unfair means, terming TRAI as a “mute spectator” to allow Jio’s continuation of welcome offers beyond 90 days. In response to the initial petition, TRAI has asked for a 3-day window from TDSAT to look into Jio’s Happy New Year continual promotional offer. The regulatory body has previously stated that it did not deem Reliance Jio’s introductory Welcome offer as a breach of predatory pricing norms. The initial promotional offer ended on December 3, 2016. Reliance Jio’s initial response claimed to have followed all norms of the telecom sector, having revised the Fair Usage Policy of allowing 1GB of data usage per day, instead of the initial 4GB/day of 4G LTE services. Jio also stated that predatory pricing regulations come into effect only when an operator has a major share of the market, which it claims to not have. With all of these claims put in effect, Airtel has also blamed TRAI for allowing Jio to break norms while being aware of the regulations and still not taking action. Following this petition, TDSAT is expected to hold a hearing for the matter on February 1, before which TRAI should respond to Airtel’s complaints. It also remains to be seen how Reliance Jio responds to these allegations.